New deal, better this time, check top message. 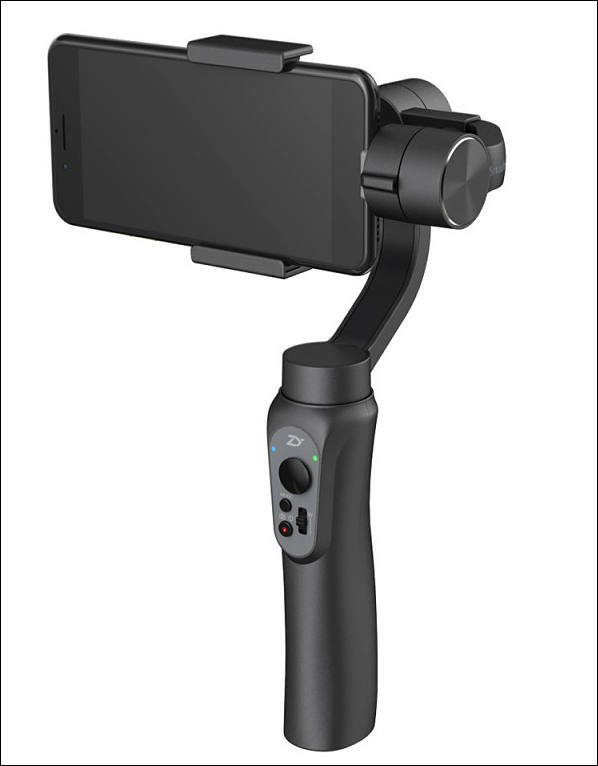 The Zhiyun Smooth Q also works with action cams, like the GoPro's and Yi's - without an "adaptor." You use a plastic bottle cap to wedge in the camera and then go into selfie mode (turns the camera around), so it does not have the gimbal motor in the shot. There is thus one major advantage of the Q over other gimbals: the camera stereo mics are not blocked by the motors; indeed they are not even near the motors. So you get nice stereo sound with no motor noise. You can also see most of the screen, as you see in the second picture, to frame shots. Here is an audio test of the Yi 4K+ stereo mics, with the camera mounted on the gimbal - cars going from right to left and left to right, and bird calls. Good stereo. And some moving with the camera. Pass.